Scooter’s 670th bar, first visited in 2009. Had it not been for the giant banner hanging from the front of the building, BT’s would never have set off my BARDAR at all. 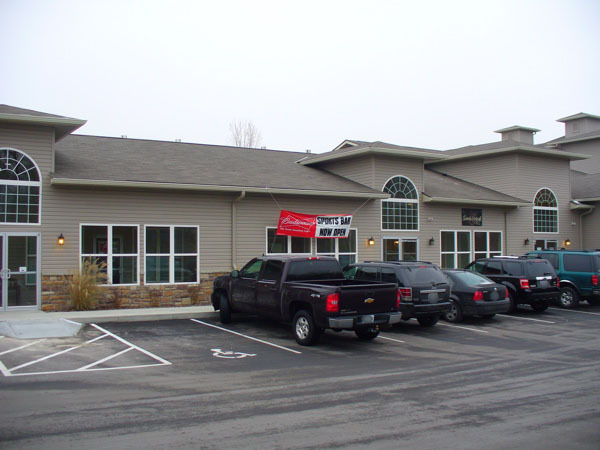 It’s in the last place anyone would expect to find a sports bar — located inside a tiny enclosed strip strip mall attached to the leasing office of a large suburban apartment complex. BT’s is brand new — in fact it had only been open just over a week when I visited — and so obviously hadn’t had time to develop a sense of character yet. But business was brisk and it does seem to have already established a steady stream of regulars. 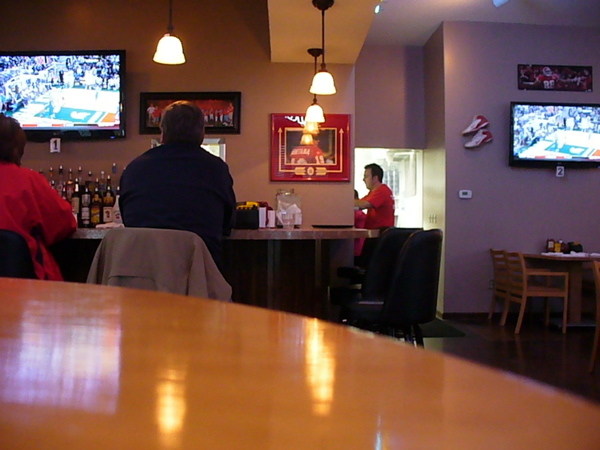 There are several large screen TVs around the room and each table has an individual sound system that can be tuned to any of the TVs. 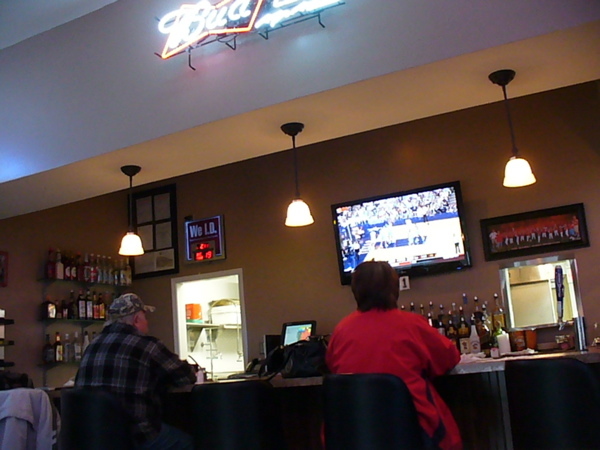 There’s also a good variety of bar food with different daily specials. And the staff was very friendly, too. An interesting feature — if you live in the attached Bristol Park apartment complex, you can order “room service” from BT’s.